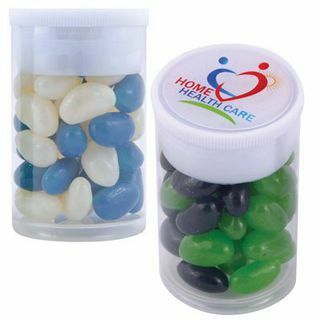 35 grams of corporate colour mini jelly beans packed in clear tube with push cap. Your mix of jelly bean colours - Green, Red, Orange, White, Yellow, Black, Pink, Purple, Blue. Full colour printed label on lid. Can also be epoxy coated at additional cost.